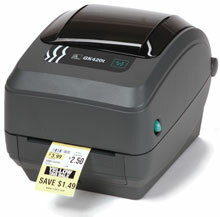 Zebra"s GK420t compact desktop printers for print widths up to 4 inches deliver best-in-class speed and performance. The G-Series printers are reliable, durable, and flexible to fit almost any low- to mid-volume printing application and budget. The Zebra GK42-102210-000 is also known as ZEB-GK42-102210-000	or GK42102210000	.